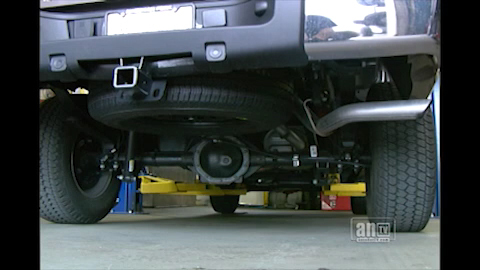 Every vehicle on MN roads has a differential, and it is important to the proper operation of the vehicle. But most Brooklyn Park residents don't have a clue what it is. So you need to have your vehicle differential serviced regularly. It's not a complicated job. At Affordable Transmissions in Brooklyn Park, we've been servicing differentials for years. The used lubricating fluid is simply drained and then replaced. Some vehicles require specific additives in the differential fluid; your Brooklyn Park service center will ensure you are getting what your vehicle needs. The intervals in time or mileage for servicing your differential vary greatly from vehicle to vehicle. Check with your owner's manual or Affordable Transmissions service advisor to find out how often your vehicle differential needs to be serviced. Do these questions sound familiar? They're not uncommon for Brooklyn Park drivers. A lot of us in Brooklyn Park don't know what a differential is or what it's for. Every vehicle has a differential, and, yes, it does need to be serviced. In fact, it's more important to the operation of your vehicle than the air conditioner or windshield wipers. Your owner's manual can give you recommendations on how often to service your differential. But you should also consult with your friendly and knowledgeable Affordable Transmissions professional. Affordable Transmissions can give you some good auto advice on whether your vehicle needs to be serviced more frequently. For example, if you drive in hot or cold MN weather conditions, your differential will need to have its fluid changed more often. Severe conditions will also affect your vehicle care routine and your differential. Check your owner's manual for a definition of “severe service” conditions that affect your vehicle. Examples may include driving with frequent stops and starts, a lot of short trips around Brooklyn Park, hot or cold MN weather conditions and towing. Off-roading is particularly hard on a vehicle's differential. If you are an off-roader, especially if you cross MN streams or waterways, it is important that you service your differential more frequently than the recommendations suggest. Properly servicing your differential will extend its life and keep you out of Brooklyn Park auto repair shops. A smooth ride is the result of proper preparation and smart choices.